A volcanic old faithful, Stromboli has been erupting continuously for the last 2000 years. “Stromboli! What effect on the imagination did these few words produce!” wrote Jules Verne in Journey to the Center of the Earth. Eighteen mummies have stood guard behind the altar of this tiny church since 1833. The home of a neoclassical master is now a shrine to his chosen art style. 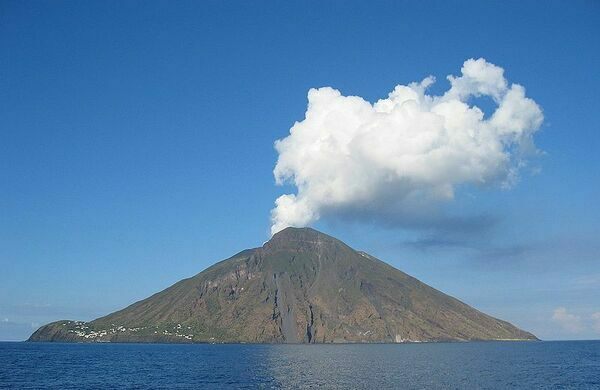 Just north of Sicily, the 12.6 square kilometer island of Stromboli is a rare natural wonder indeed. 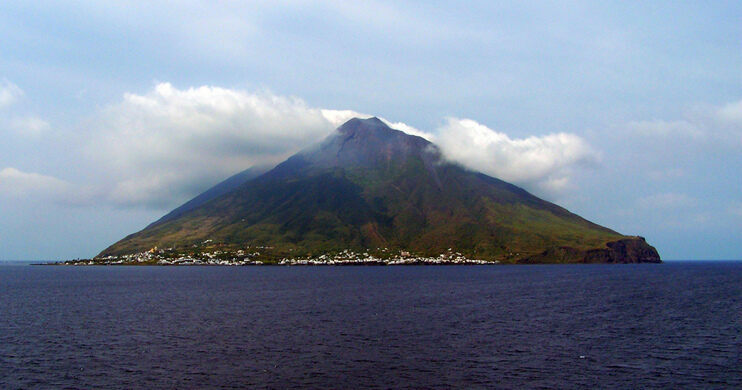 Stromboli is one of the world’s only constantly active volcanoes, erupting every 15 to 20 minutes for the past millennia. Each small explosion shoots bursts of magma into the sky and sends rivulets of lava into the sea. On occasion -three times in the last 100 years- there have been much larger explosions, the last of which occurred in 2003. These eruptions were large enough to take the lives of inhabitants of the island, and to destroy much of the villages there. The volcano was closed to tourists for two years afterward, and just re-opened in 2005. 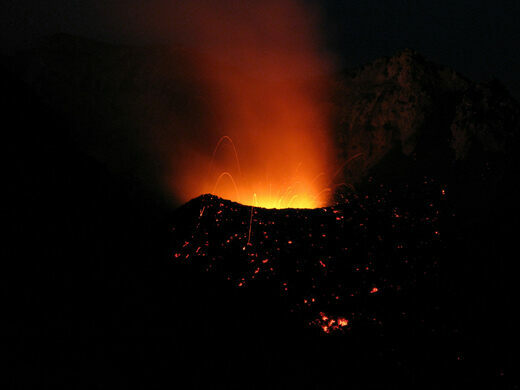 While such large eruptions are rare, visitors experience Stromboli at their own risk. Geologists are frequent regulars at the island, as the mini volcano provides important information on how volcanoes work. There are several different tours which take visitors on a hike up the volcano to the top, where by law, visitors are allowed to remain only for one hour. The hike up the volcano is roughly 3 hours, rigorous and should not be underestimated. While the volcano can easily be viewed from the deck of a passing cruise ship, the best land tours are the ones that leave at sunset, as Stomboli is at its most magnificent seen against the night sky. The hike down is in complete darkness, so bring a flashlight or risk barking you shin. One recommended tour company is Magmatrek, information provided below. 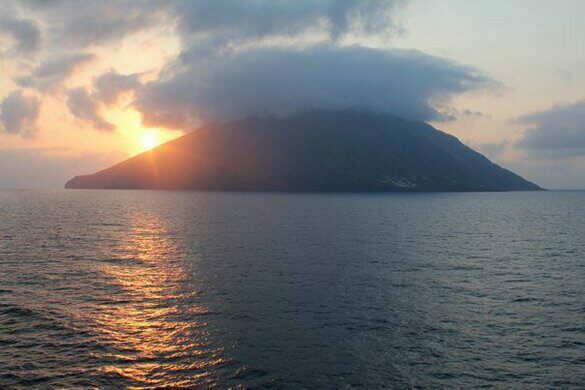 Ferry and hydrofoil to Stromboli from Sicily and the mainland, however, you may have to change boats in Lipari. Magmatrek Tours leave Twice daily, costing 25 Euros. It is recommended to book well in advance. A petite white lighthouse perched on the ancient core of Stromboli Volcano. A fairytale-like medieval church perched atop a rocky cliff on Italy's "Coast of the Gods." An abandoned building that once tightened a power line that stretched across Messina Strait. This Canary island is a quintessential example of nature’s beauty, and its unbridled fury. An island in the middle of a lake, in the middle of a volcano, in the middle of a bigger lake, in the middle of a bigger island, in an archipelago, in the Pacific Ocean.